today was pretty long. i went to bed at midnight, woke up sharply at 4 am paranoid of over sleeping on the first shooting day for the february project. slept again but had to get up a bit after 5 anyway. but i feel great about the day..i can't WAIT to see the film. i love the rz. it feels so solid. 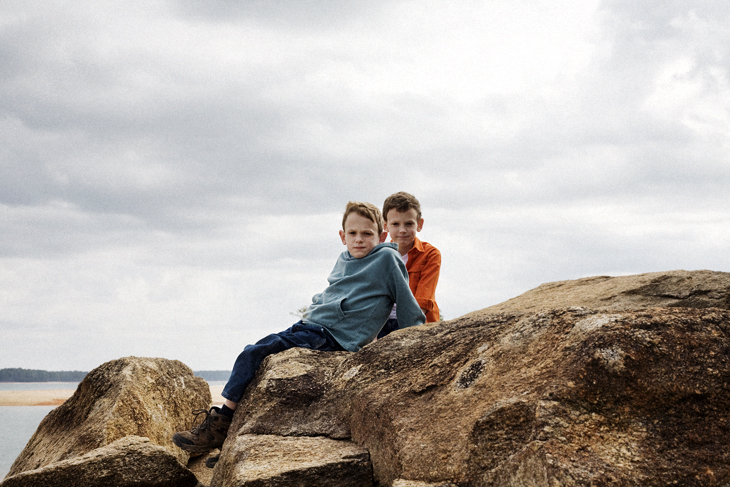 today's shoot was of these two brothers (mostly of the kid in the blue / green) out at lake martin. please consider this image a placeholder until the film gets back--its a digital shot meant as a daily to show the client. the film stuff is going to look amazing. also, i am watching the shawshank redemption AGAIN. or finishing it anyway. i can really watch it at the drop of a hat.